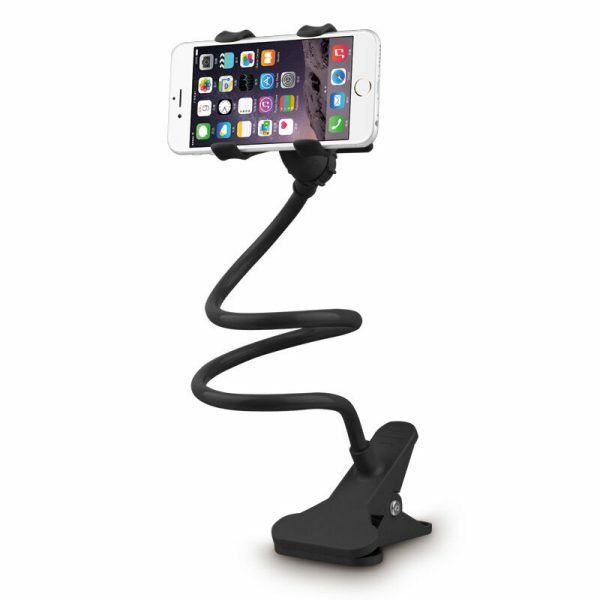 The 360° Flexible Phone Stand Metal Phone Holder for Bed provides a goose-neck style flexible and adjustable position needs on bed, car, table, etc. For example, when you are laying on the bed and wanna watch a movie, just clamp it on your headboard and adjust the long arm towards your face with a comfortable distance. We are sure that the gooseneck Flexible Phone Mount will be a most comfortable and enjoyable must-have thing in your home or office. 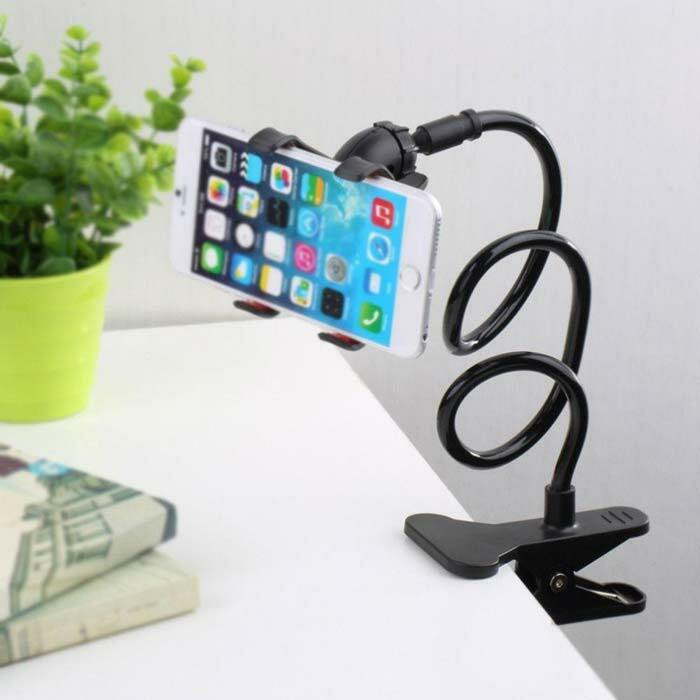 This phone holder solves the problem of some popular brackets that are too loose to hold the device steadily or too soft often causing the device to sag. This 360° Flexible Phone Stand Metal Phone Holder for Bed, can be clipped onto any desk, bed headboard, chair, wall cabinet, Satisfy your needs whatever you are at home or on the go, Allows you to enjoy your phone anywhere. Makes Cell Phone/iPad more useful. 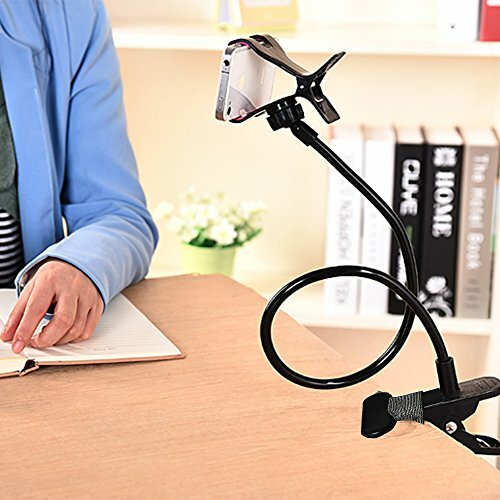 Attach iPad to a table to create a mini workstation wherever you want. The sturdy clamp positions it upright so you can stand and jam with DJ and music apps, or launch a racing game and use it as a fixed steering wheel. 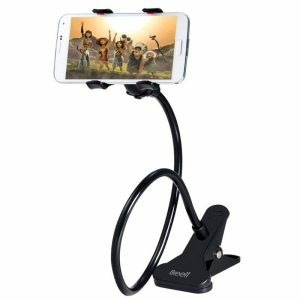 360° Flexible Phone Stand Metal Phone Holder for Bed is very convenient to attach it to the bedside table to make it a floating movie screen. It is useful in so many ways, we can’t wait to see how it fits into your world. 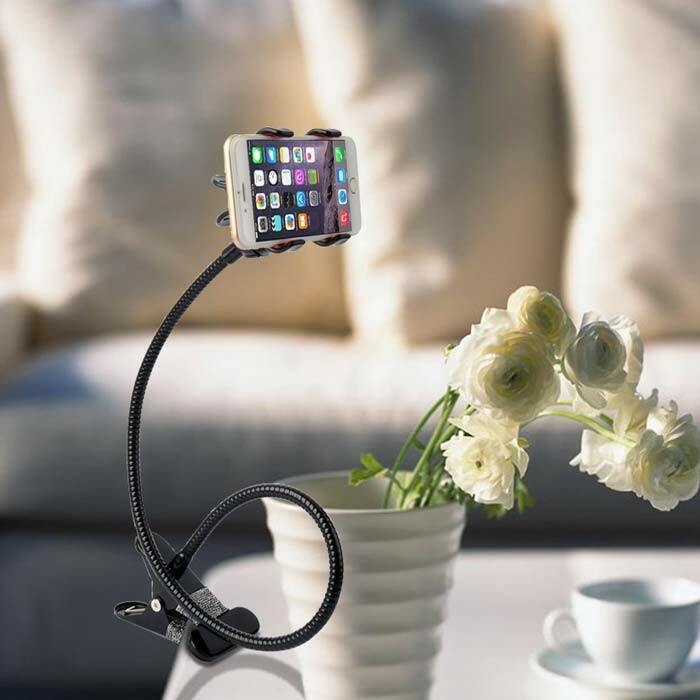 It holds and stands your smartphone to bedside, desktop, car anywhere. 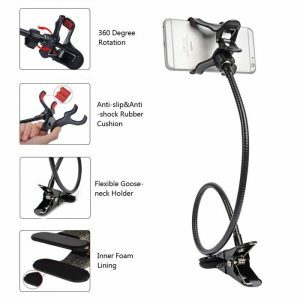 With strong flexible goose neck holder, you can adjust the smartphone into any angle you want. 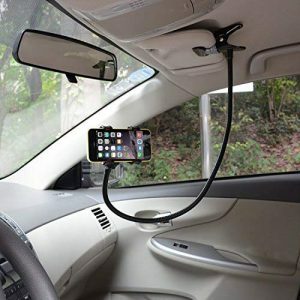 The clip holds your smartphone very firm onto anywhere you want. The clip part has a soft cushion inside so it dose not scratch or damage where it clips. 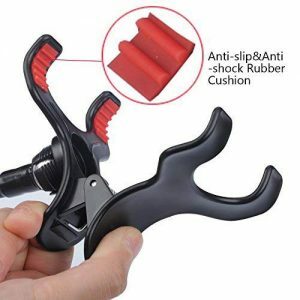 Very good product and website. will buy more.